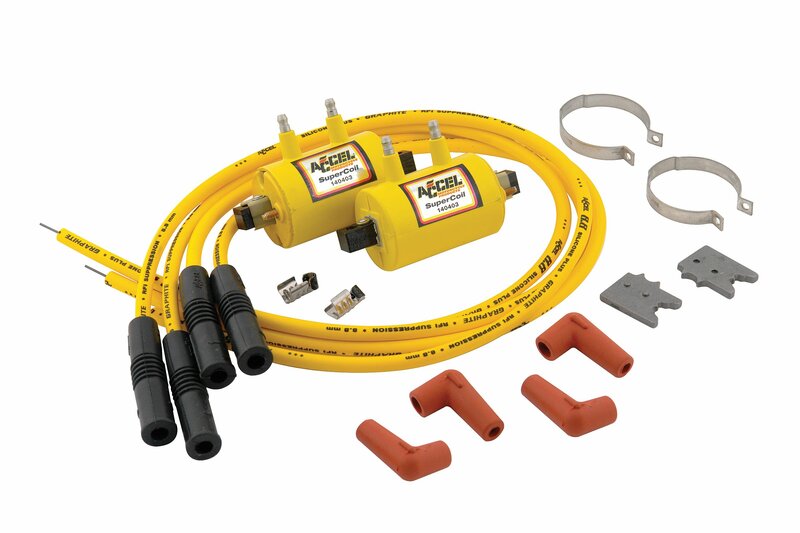 These ACCEL Motorcycle Super Coil kits are intended for motorcycles that are point or electronically triggered, utilizing capacitive discharge type ignition systems. Motorcycles equipped with capacitive discharge ignition (CDI) will really come alive when equipped ACCEL's Super Coil for CDI applications. ACCEL's engineers designed this coil's special low resistance primary winding to match operating characteristics of factory installed and aftermarket CDI systems, getting maximum performance with fast rise times.